Looking for a garage to fix your Brakes in Yorkshire and The Humber? Save money: Instantly compare Brake Repairs prices to find the best deal in Yorkshire and The Humber. Save time: You can find and book the best Brake Repairs deal in Yorkshire and The Humber quickly and easily with our online booking tool. No upfront registration required! You can compare garage prices, reviews, distance and much more all in one place. 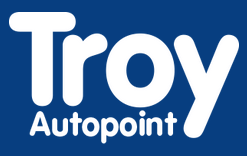 Quick and easy: Simply enter your car registration number and your post code, compare prices, choose a garage which is local to you in Yorkshire and The Humber and book your Brake Repairs. Speak to an expert mechanic: If you need to speak to a mechanic about your Brake Repairs, call one of our experts today on 03304 004439. "I was very happy with work done and service of the workmanship, will be using parkside again." "Very happy with the professional service"
The Yorkshire and the Humber region is extremely varied, home to the major Northern cities of Leeds, Sheffield and Bradford, as well as to the smaller cities of York, famous for its medieval centre, and Whitby, with its atmospheric harbour and ruined abbey. In addition the region of Yorkshire and the Humber boasts some of the UK’s best loved landscapes, such as the drama of the Pennines - ‘Britain’s backbone’ - and the austere beauty of the North York moors and the rolling landscape of the Dales.